Recently I was asked where to get a free online logo design in our Facebook Group. I was actually curious myself so I did a little research and came up with some ideas for you. From a business risk standpoint, I really wonder if getting a free online logo design is where we want to be skimping on our budget. If you’re just going to go out and get a Starbucks for $4 – $6 anyway, why don’t we figure out how to save money on something temporary like coffee and put that money into something permanent like the logo? Since the logo of the product or the business or the idea becomes the face of that thing. Becomes the identifying mark. Becomes part of the brand in the minds of our audience, trying to get it free means the cost is more important than the symbol. But wouldn’t it make sense to try and get the very best logo design we can get, figure out what it is going to cost to get that, and then figure out how to make or save the money to pay for it? That way we get the very best design AND we walk away as if we got a free online logo design we love. If you know what you want the design to look like, and want to do it yourself, then I’d use Gimp. Gimp is a free version of PhotoShop. It’s got a learning curve for sure, but there is not a question YouTube can’t answer if you need help. We made virtually every one of our logos AND remade some of our logos on Gimp. Not only is it a good tool for logos, but also for banners, headers, photos and any other thing you need to do to a graphic. You can’t make a clickable spot within an image, but I think you can do just about everything else. The drawback to Gimp is the learning curve and time. Is graphic creation really your best use of time? If you know what you want the design to look like and can draw or describe it, but want someone else to do it then I’d recommend Elance or Fiverr. Both of these sites aggregate freelancers who have design skills. You just post your product asking for bids and freelancers tell you what they would charge to get it done. On Fiverr, it’s a bit easier. You search for a guy who will do a design for you for $5 and send him the drawing. Then you get the drawing made into an online logo design. It’s not quite free, but $5 ain’t bad. 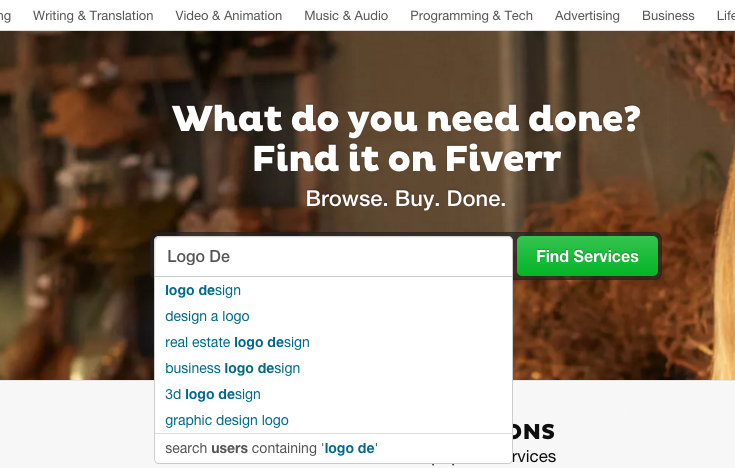 The only real catch to Fiverr is that the freelancers are hoping to turn the gig into a higher paying project. So they may give you a 400 x 400 pixel image and ask that you pay a bit more for a large-scale, high res version. There is not much leeway in terms of making revisions at the $5 rate. So have a good drawing to start with. Elance on the other hand is true professionals bidding to be your personal logo design consultant. They bid on the drawing you upload, the description you give them. . whatever you can provide. It costs more than $5, but sometimes no more than $30. If you need a design quickly and want to be highly involved in the creation of that logo, then we’d say use $99 Designs. 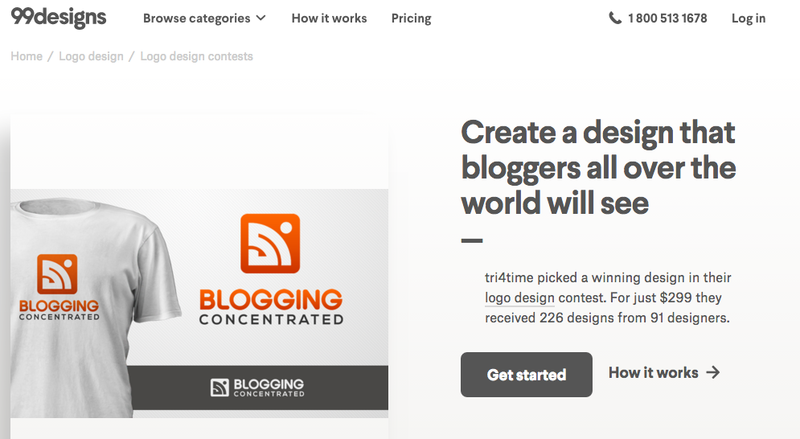 We used $99 Designs for the creation of the Blogging Concentrated logo and were delighted with the result. To start we paid for their $299 package which got a lot more designers involved. The idea behind $99 Designs is that you post a job request and the designers actual create a finished product for you right away, as opposed to drawing up a proposal. And then over the course of 3 days you have the option to comment, reject, accept, ask for changes to every logo design that comes in from artists. Over the course of our 3 days we commented on just about every idea that came in. I believe we had 266 renderings to look at, some of which you can see here. The critical piece to $99 Designs is that you must be active with the designs. Failing to comment and provide further direction to the artists just stalls everything. If you are respectful, appreciative and helpful in your comments they are more than willing to take your ideas and translate them into new ideas. It is a whirlwind of amazing. 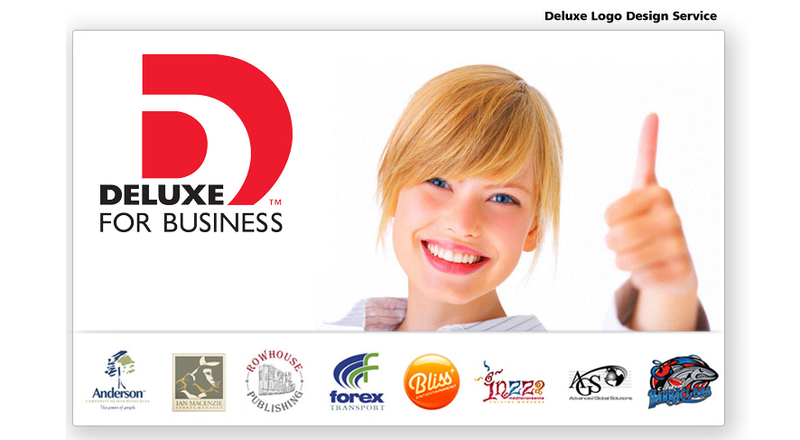 If you really just want an expert to do all the work for you, then Deluxe Logo Design is a great option. With Deluxe you have a phone call with a real designer, fill out a questionnaire and give some preliminary ideas. Then in a few days you get around 10 designs to look at. If you like one, you’re done. Otherwise you use the preview page to inform them which one you like, ask for revisions, give comments, etc. . . And then a few days later you have a completed online logo design in hand. Unlike the previous 3 where you are deeply involved in the design, with Deluxe the designers are degree’d professionals with many years experience so you don’t have a lot to worry about. And being professionals the designs they come up with are varied to give you a real good shot at making something you’ll love. I also liked that Deluxe could immediately put your logo on checks and other personalized products. . . if that doesn’t jog your memory then perhaps I should remind you that Deluxe is the company that’s likely been printing your checks for years. You’ve seen their ads in print publications for decades. The downside to Deluxe, which may not be a downside to you at all, is that Deluxe is a bit old school. They want to have a real conversation with you about your design needs before they start. I kinda wanted to fill out a quick form and be on my way. I certainly do appreciate have spoken to someone directly and am sure the logo design we got is much better because of it. I sometimes like my “microwave culture” and want to just press an anonymous button.